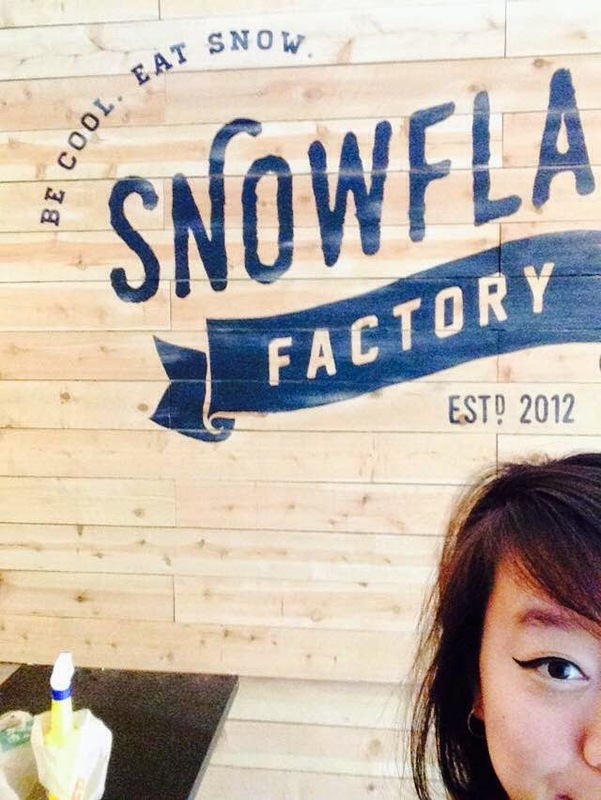 THE SNOWFLAKE FACTORY IS BACK IN BUSINESS - GARDEN GROVE (CLOSED) - EAT WITH HOP! 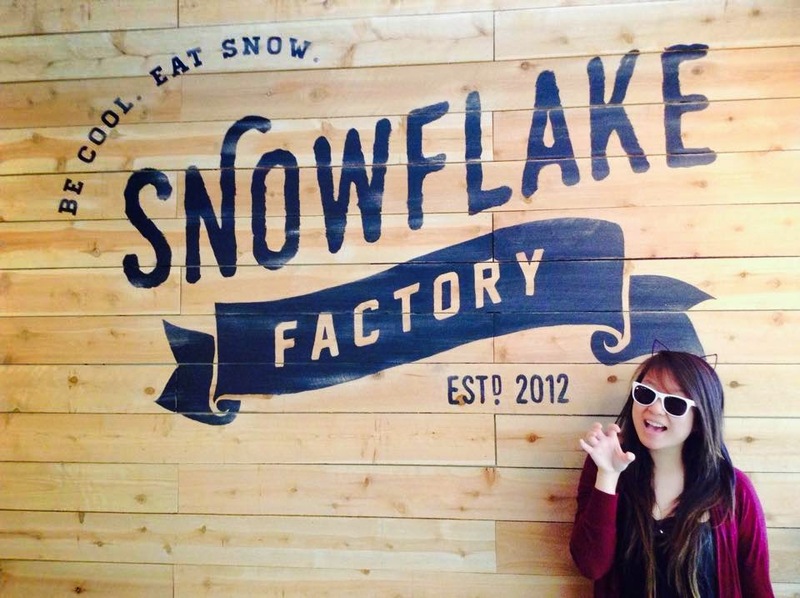 I WANT SOME SNOWFLAKE FACTORY RIGHT MEOW. WHAT DO YOU THINK OF MY NEW SHADES? FIRST 40 PEOPLE GET FREE SUNGLASSES! WOOOOOO! PERFECT FOR SUNNY CALI Y'ALL! THE SNOWFLAKE FACTORY HAS BEEN CLOSED FOR REMODELING FOR QUITE AWHILE. DON'T WORRY THOUGH BECAUSE THE FACTORY IS BACK TO MAKE IT SNOW IN SOCAL AGAIN! THIS TIME, WITH MORE FOOD ITEMS ADDED TO THE MENU LIKE TACOS, SLIDERS, FRIES, AND MUCH MORE. 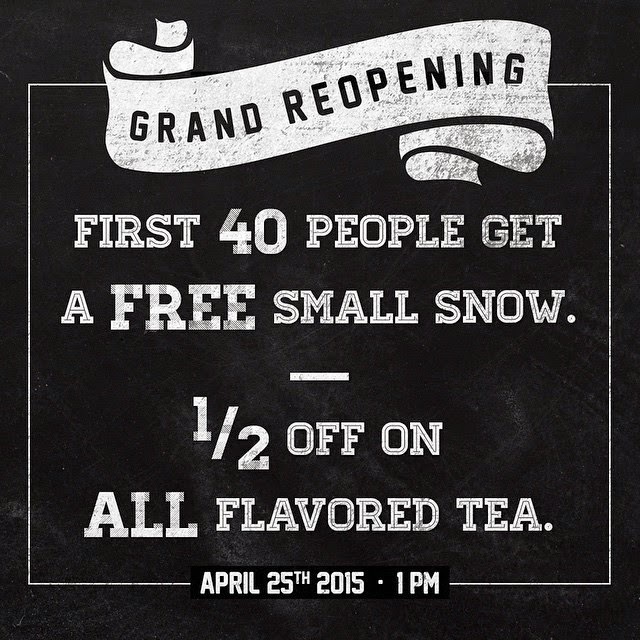 GRAND RE-OPENING IS THIS SATURDAY 4/25 SO DON'T MISS OUT! THE NEW RUSTIC DESIGN AND LAYOUT LOOKS INVITING ENOUGH FOR YOU AND ALL Y'ALL FRIENDS TO BE COOL & EAT SNOW. 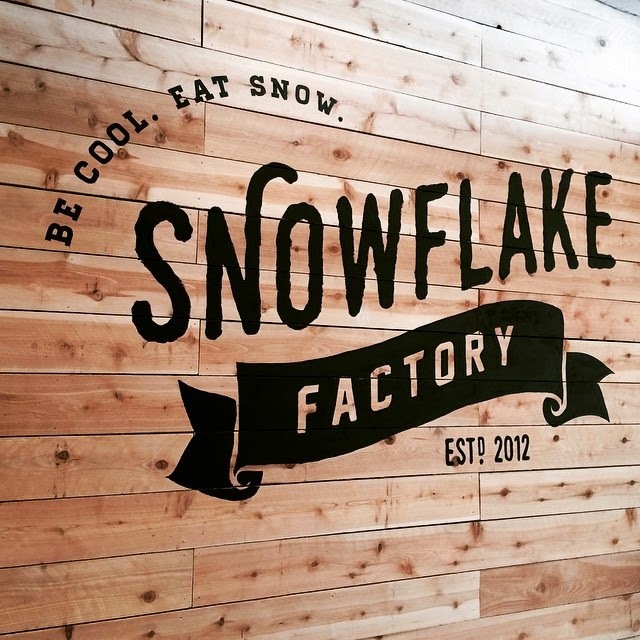 Green Thai Tea Shaved Snow at the Snowflake Factory!